Is your Business Monsoon Ready? Monsoon season is upon us in Arizona yet again, which can only mean one thing: business disruptions are about to become an unfortunately common occurrence. But even though Mother Nature tends to be fickle, her devastating effects are certainly not impossible to overcome. If you really want to make sure that your business is monsoon ready, there are a few key things you’ll want to keep in mind. How Long is Monsoon Season? 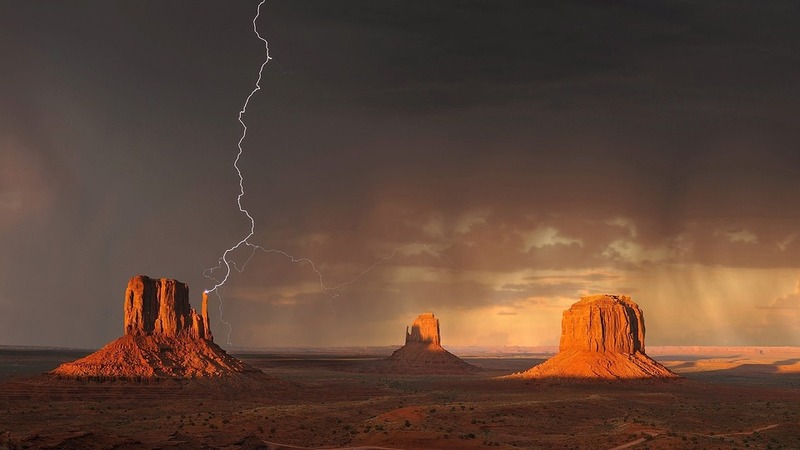 Generally speaking, monsoon season in Arizona begins on June 15 and ends on or about September 30, though the storms certainly have a tendency to peak between mid-July and mid-August according to most experts. During late June, the mercury in the area tends to rise to uncomfortable levels. When that happens, warm air across the area creates a series of surface low pressure zones that eventually begin to draw in moist air from the oceans. Thanks to the fact that winds in Arizona tend to come in from the west and then shift to a southeastern direction during the summer, that moisture comes directly from both the Gulf of Mexico and the Gulf of California. That significant increase in moisture, combined with the aforementioned surface low pressure zones and desert heat, produce the types of monsoons that people in not only Arizona but also New Mexico and even parts of Colorado have come to dread. As is so common with businesses in the modern era, your own productivity likely depends on an active and reliable Internet connection. As opposed to something like DSL, which can be (and often are) brought down by flooding and storm damage, fixed point Internet services from companies like Phoenix Internet are literally built to be able to stand the powerful weather events that customers all across the area are facing. AT&T found this out the hard way with Hurricane Irma and faced a widespread DSL outage for customers in Florida, South Carolina and Georgia. With Phoenix Internet, this isn’t something you have to worry about. Not only is the network itself hardened against failure due to power outages (our tower sites are equipped with secondary battery and generator backup capabilities), but they’re also fortified against high winds and extreme weather. A significant rain fade tolerance is also built into our signal thresholds, allowing our low-profile subscriber modules to fare well under these conditions. Not even satellite can offer this type of protection during extreme weather events. Heavy rains and thunderstorms can often block a satellite signal entirely. Even if a signal manages to pass through a distance storm to the customer, they’ll experience constant service interruptions – despite the fact that it’s not actually raining where they’re located. 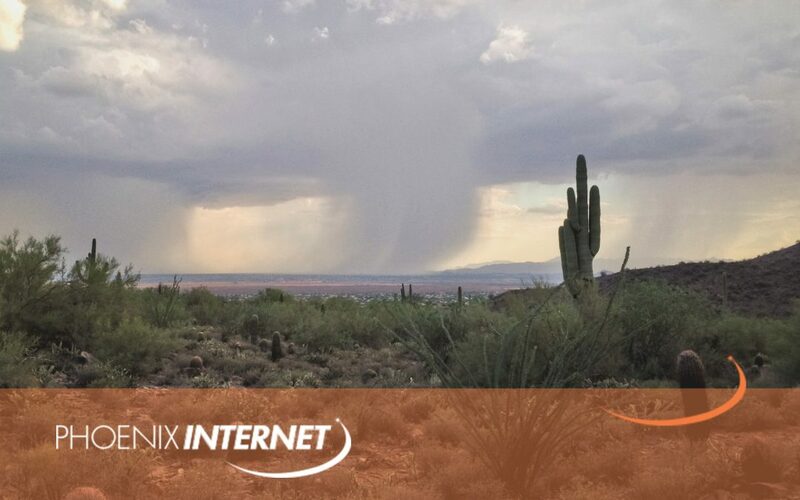 With Phoenix Internet, even if a customer’s subscriber unit gets knocked out of alignment or faces another issue due to heavy winds, we have an army of fast, efficient and local technicians who are ready and waiting to respond to every call. After the storm rolls out you’ll be able to pick right back up where you left off without missing a beat – and you won’t have to wait for your Internet to get turned back on, either. Always make sure you have sandbags at the ready to help divert flood waters. When the winds pick up, move away from windows and head to a central location. Invest in services like fixed point Internet access that are built to withstand monsoon conditions. If you’d like to find out more information about our fixed point Internet service, or if you have any additional questions about the business-related services that we offer, please don’t delay – contact Phoenix Internet today.